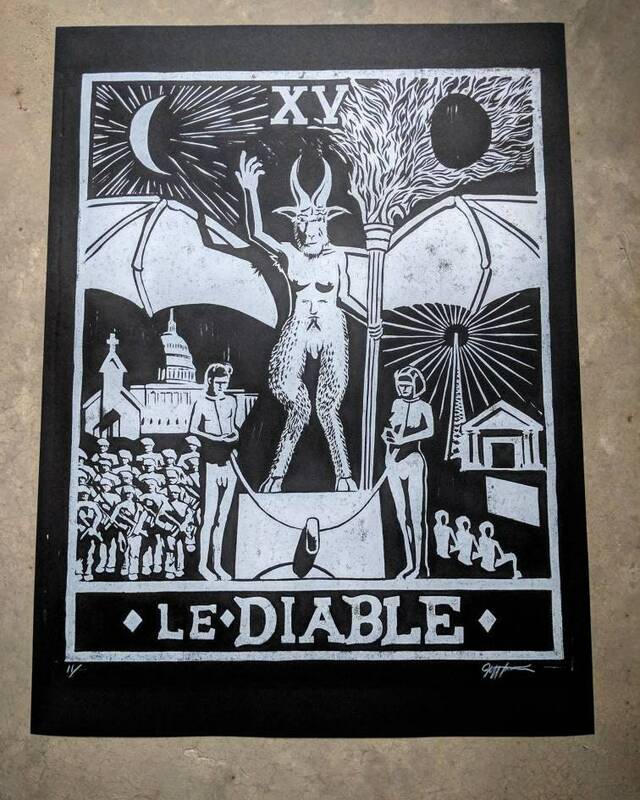 This linoleum block print is based on the Devil Card from the Tarot of Marseilles. I updated it adding Baphomet and just some of the trappings of our modern lives. The image is 16" by 20"
Oil based ink on paper.